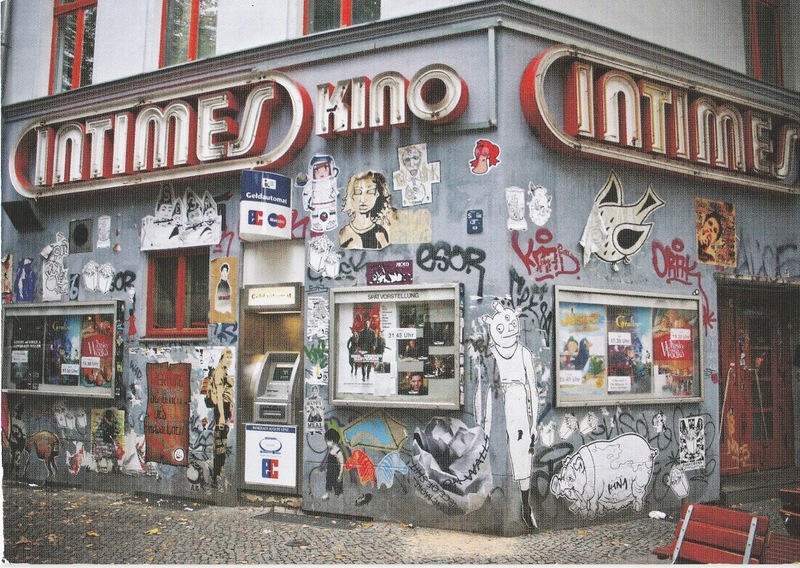 Kino Intimes opened in 1909 in Berlin-Friedrichshain as Lichtspiele des Ostens. It was and is a really tiny cinema, with 151 seats in the first years, today with 83 seats. 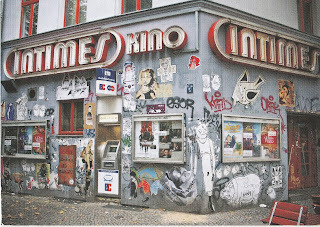 Therefore it was called in 1924 Kino Intimes, Cinema intimate. The only hall offers the full program of a typical 1970s design: The walls are arranged with brown velvet and brown wood and the ceiling also offers a wood paneling towards the canvas - of course in brown. 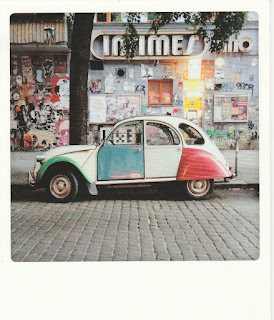 For more pictures look at Kinokompendium Berlin. Jasper und das Limonadenkomplott (Germany 2009). The colorful creative housewall with cinema's neon light is a popular photo opportunity. So I have another postcard from this cinema. I got both postcards from Ina. Vielen Dank, Ina! Honestly this isn't a normal postcard. But this picture was sent as a postcard to me. 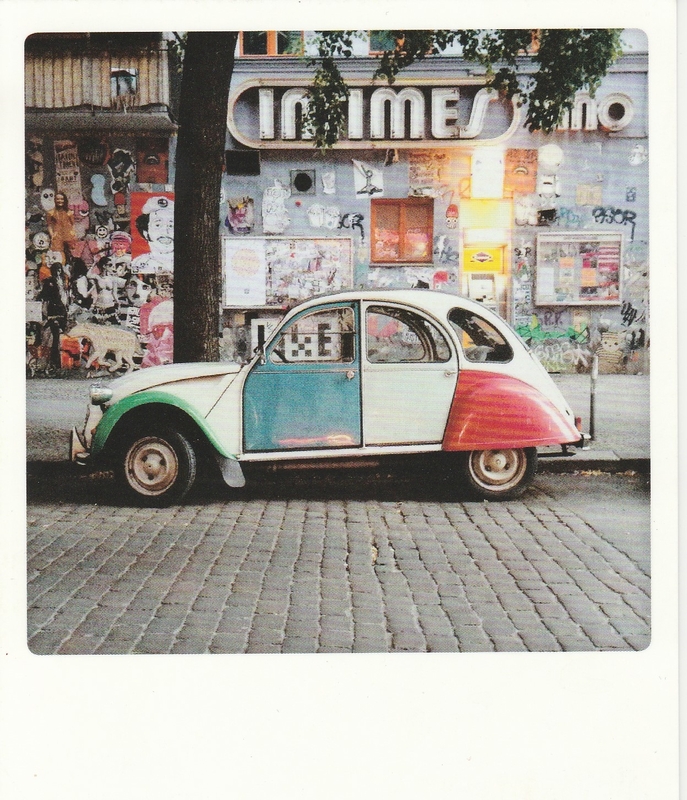 I got it from Britta via Postcrossing. Imagine - she read my wish for postcrads with cinema buildings, went to her local cinema, took a photo, made a postcard with this photo and sent it to me. Incredible. 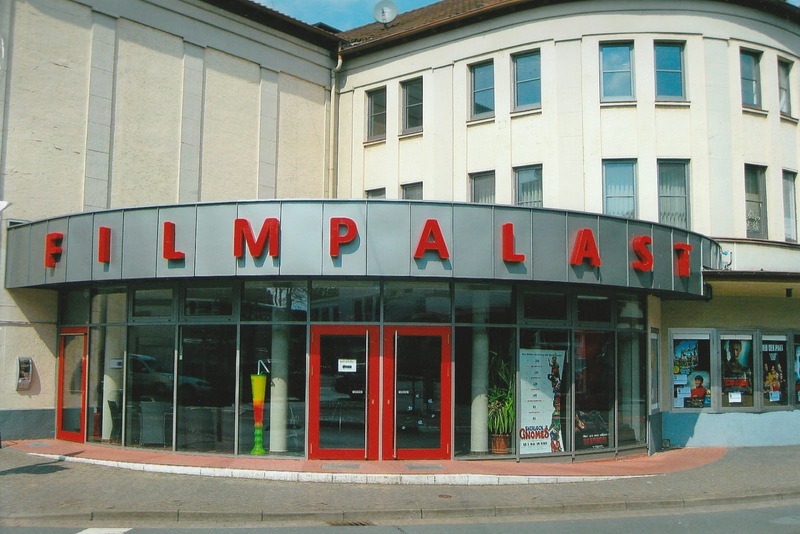 Filmpalast Nienburg (Weser) opened in 1936 as Film-Eck with about 860 seats in one hall. Today it has two halls. Britta wrote there are plans for a new cinema with 7 halls. But for this new building in the harbour old trees had to be felled. Therefore much displeasure is in the city. At all an interesting building and a postcard handmade with fantasy and love.